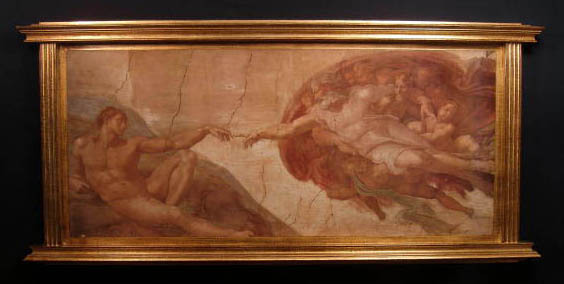 Creation of Man by Man by Michelangelo Florentine plaque, 66 x 31". Made in Italy. SPECIAL ORDER...2-3 MONTH DELIVERY!